"An up-and-coming destination, with plenty of hidden gems, unspoilt beaches and excellent 5-star luxury facilities across all resorts..."
Montenegro offers some of the most awe-inspiring natural scenery that you will find anywhere, replete with golden beaches that sit in the shadow of mighty mountains. 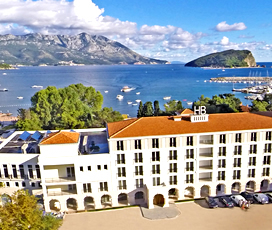 Montenegro lies on the west of the west coast of the Balkan Peninsula and boasts a pristine coastline along the South-Adriatic Sea.Its most popular tourist destinations are dotted along the spectacular Bay of Kotor, which combines the blue waters of the Adriatic with medieval walled towns that ooze atmosphere. 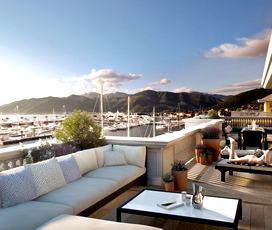 Budva is home to the incredible Stari Grad, the bustling old town that enchants visitors from around the world, while Tivat has the Porto Montenegro Marina, a recently built super-marina that will make you feel as if you are in Monaco. This along with its rich history, great culinary tradition and bustling nightlife, make Montenegro the ideal off-the-beaten-track holiday destination. Situated in the southeast of Europe, the country is on the border of Croatia, Bosnia and Herzegovina, Kosovo, Serbia and Albania. 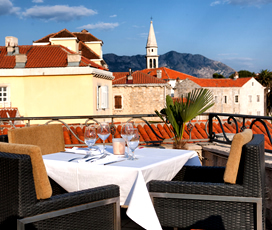 It is famous for its beautiful mountains and the narrow stretch of coast that runs along the Adriatic. 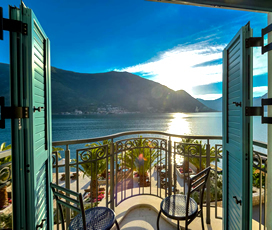 The best part of this coastline is the Bay of Kotor, which is similar to a fjord and is replete with limestone cliffs and sheltered beaches, ideal for anyone looking for a relaxing romantic holiday. Other places of note include the Tara River Canyon, which is the deepest in Europe and the second deepest in the world. Its capital and largest city is Podgorica and the country has a population of around 620,000. Its climate varies depending on where you are in the country. The coastal region has a warm Mediterranean climate, with hot summers and wet winters, the climate gets slightly colder as you mover further inland due to the increased altitude. The best time to visit is in the summer months of June, July and August, when the temperatures average above 25 degrees and the sea temperatures are warm. The coastal climate remains warm in the spring and autumn, although there is an increased chance of rain. Originally settled by the Illyrians in the late iron age, they built a variety of structures, including hill forts and participated in trade with the Greeks, meaning that the entire area was influenced by Hellenistic culture. The area then became a part of the expanding Roman empire from the 2nd century BC onwards, with the last pocket of resistance falling at around 100 BC. Like many places, Montenegro benefited from Roman rule, with trade and the economy thriving. It was absorbed into the Byzantine empire following the collapse of Rome and was ruled from Constantinople until 1042 AD. Over the following years several parts of Montenegro began to get independence and were absorbed into the Serbian empire. The country was then divided, with parts of it being part of the Ottoman empire and the coastal regions being under the influence of Venice. The Montenegrins rebelled against Ottoman rule in the 17th century, which eventually led to the defeat of the Ottomans in the Great Turkish War. Much of the nation ended up within the Austro-Hungarian sphere of influence after the settlement that followed the Napoleonic wars, eventually joining the kingdom of Yugoslavia upon its creation after the second world war. Montenegro became an independent nation following the civil war that ravaged Yugoslavia during the 1990’s, becoming a prosperous part of the European Union in the 2000’s. Its rich food history has been defined by the many cultures and nations that have occupied it over the years. Popular dishes in the country include: Kačamak, a porridge like meal made with wheat and served with cheese and sour milk; a variety of soups, usually made with vegetables or potatoes; Rastan, a spicy cabbage dish cooked with potato; prsuta, a smoked ham, similar to the more famous Italian prosciutto; succulent lamb cooked in a variety of different ways; along with plenty of other grilled meats. There are also a variety of local wines that come from Montenegro itself and other Balkan countries. Establishing itself as the perfect destination for active families who want to get out and enjoy the great outdoors, there is a plethora of great activities to keep everyone happy. Foremost of these are the many incredible beaches in the area, with Jaz Beach and Mogren Beach, especially famous. The entire Montenegrin Coastline is contained within the sheltered Bay of Kotor, making it safe for children to practise watersports. The area is also mountainous, meaning that families can enjoy hikes or bike rides, replete with stunning natural scenery to explore on a family holiday. The majority of Montenegro’s cities are old, meaning that they offer rustic old towns, replete with medieval architecture and a bustling atmosphere. Both Kotor and Tivat are renowned for having excellent old towns, although the unquestioned king, is Budva’s Stari Grad, a walled maze full of amazing buildings, shops and much, much more. Montenegro is also blessed with incredible nature and no visit there would be complete without a sunning session close to the blue waters of the Adriatic. For more adventurous tourists, the Tara River Canyon, close to Tivat, is the second deepest in the world and can be zip-lined across: if you don’t mind heights. 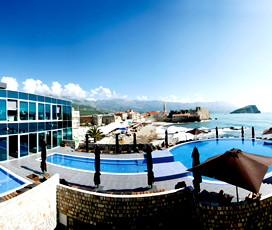 The liveliest destination is Budva, nicknamed the Montenegrin Miami, thanks to its gorgeous beaches and excellent nightlife. The best of these is called Top Hill an open-air nightclub that holds more than 5000 people and offers stunning night-time views over the city. 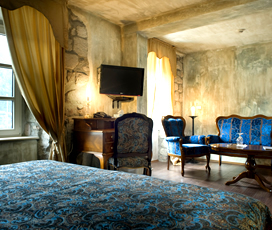 The capital Podgorica is also known for its vibrant nightlife, offering some of the best party venues in eastern Europe. Most famous of these are the moving underground venues that host parties from dusk until dawn. Various other places within Montenegro offer a slightly less busy night-scene, with trendy bars, where visitors can enjoy a quiet drink with friends. Though shopping in Montenegro is not renowned, visitors can still find a few great local products in certain places. One absolute necessity is Vranac wine, a delicious local red that visitors are sure to enjoy. The best place to find bargains, are open-air markets, which sell a variety of local products, including jewellery and other handmade products. Clothes boutiques in the larger towns sell fashion items that either come from Italy or quirky designs by local designers. 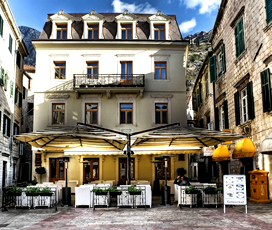 The best towns for shopping are Kotor, Budva and the capital Podgorica. Montenegro is a real paradise for nature lovers and many of the noteworthy things to do here are nature related. 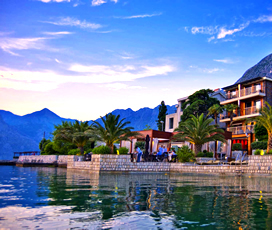 No visit to Montenegro is complete without experiencing the beauty of Kotor and the stunning Kotor Bay. Kotor is a charming Venetian-esque town and a UNESCO World Heritage Site and Kotor Bay, with its crystal clear waters and surrounding mountains has been voted as one the most beautiful bays in the world. Perast is another quaint town on the shores of Kotor Bay and from here you can take a boat trip to the small islets of St George and Our Lady of the Rock.